Now if you look at the next examples, you will find that they are pretty ambigous if you are asked to assign only one label, let’s say, out of five. And for a number of categories there a lot of images with such ambiguity. 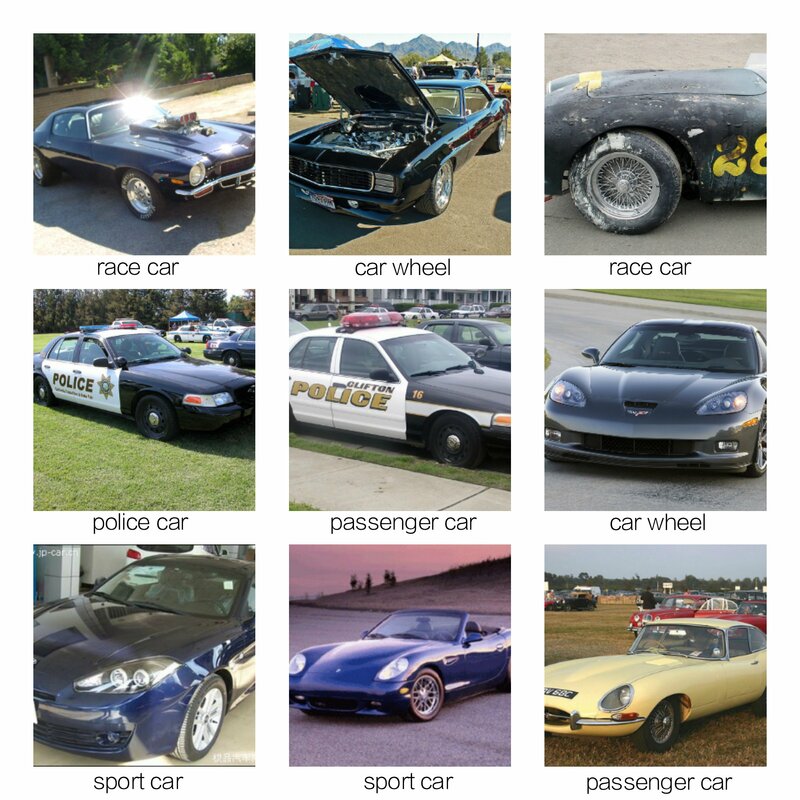 The major problem with the dataset is that for many of the images we can’t say precisely if a category A or a category B describes it the best and the model in such situation is penalized during the training for the the mismatch between the predicted A category and B category given as a ground truth. So even if the image from the evaluation set is better in the sense of an ambiguity but still can be described with multiple labels, it will be harder for the network to determine a pravailing label because the training dataset doesn’t train it to do so very well. And this explain such a big margin between top-1 and top-5 errors.